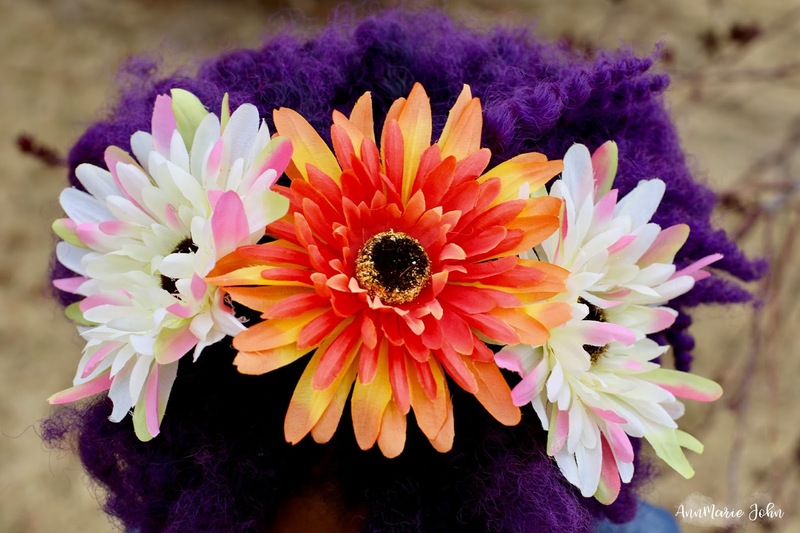 This DIY Dollar Store Floral Headband will take you from winter into spring flawlessly! So I've been asked, why do you like crafting things as much as you do? Let me go into a little backstory. As you might know, that's if you've been a regular reader, or just happened to be going through posts, I suffer with depression. Depression is a severe illness and not one to be taken lightly. My depression started almost 5 years ago when my father died and became even more compounded when my mother passed away a few years later. I however have an amazing therapist. It was during one of our sessions that she recommended doing things with my hands. She suggested knitting, crocheting or even taking up pottery. I am going to be honest with you, I thought she was full of sh*t, but I figured, what would it hurt? What she suggested however was totally out of my league. While I knew how to crochet, I did not know how to knit and or to potter. I ALSO DID NOT HAVE HOURS TO SPEND DOING ANY OF THOSE! As a mother of 4 with 3 of them being at home, I don't have the countless hours to spend doing any craft, and that's why my crafts usually take my readers 30 minutes or less. Today's Dollar Store Floral Headband will actually take you about 2 minutes from start to finish. I am going to be honest before I start with this tutorial. I'm even ashamed to call it a tutorial because it's two simple steps and as I mentioned, it takes about 2 minutes, unless of course you plan on making as many as you can. This is also one of the least expensive crafts I've done as all materials were bought at the dollar store, thus the name. I'm not even going to insult your intelligence by adding step by step photos either. So without further ado - here goes! Step 1: Gather your supplies together. Separate the flowers that you want to use and decide which you'll be using on which headband. Cut the stem of the flower as short as you can go. 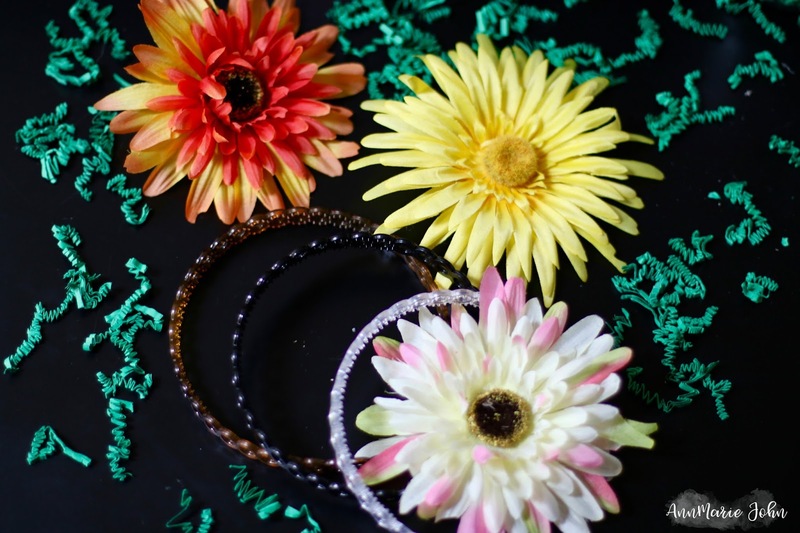 I purchased the headbands with the holes (3pk) so that the end of the flower can go in seamlessly and easily into the hole on the headband. Step 2: With your glue gun attach the flower to the headband. Secure and you're done! I did two of them with one flower and another with three (shown in first photo) so that I could have a variety. Can you believe how easy that was to do? It's a great way to bring some life back into those old headbands you may even have laying around the house. 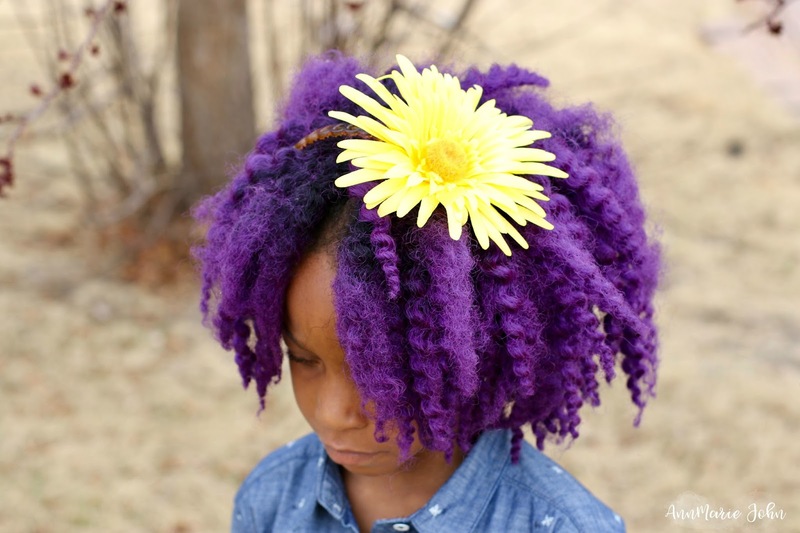 I love looking at flowers and with spring here for most of us, why not add a few to your hair? I think they look adorable in Madison's hair. Don't mind her, she said I was "interrupting" her play time. 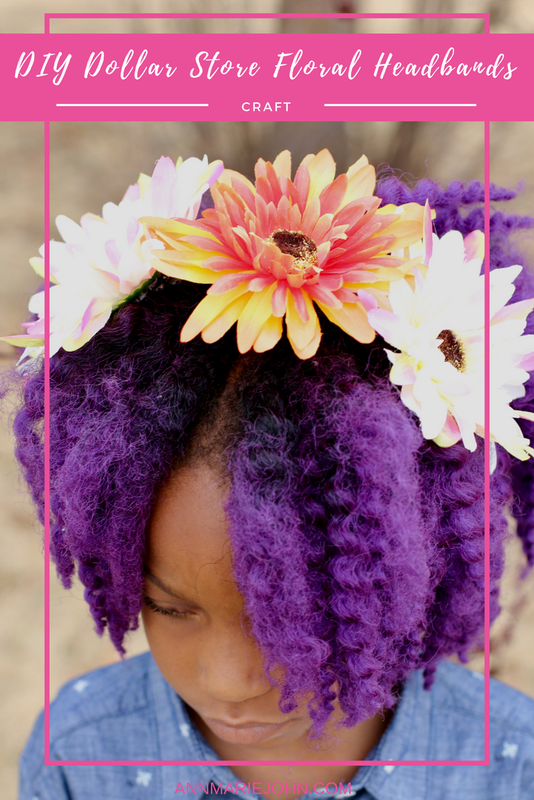 So pick up a few flowers and some headbands and make this super easy DIY Dollar Store Floral Headband. Are you kidding me with this cuteness? Scarlet loves headbands - the bigger and brighter, the better. In fact, she's so small that we nearly couldn't see her in the all-school choir concert, but she was wearing a headband like this. So we found her! I'm headed to the dollar store over the weekend. I need one of these! This is super cute and you can literally make a floral headband to go with every outfit with all the choices! This is starting to be headband wearing time for my daughter - enough with the winter hats, spring is finally here and let the head show! That is super cute! What a great way to welcome in spring. The colors are wonderful. I have to show this to my wife. She loves to make stuff like this with my daughter, and I think they'll both love this. That is crazy cute! I love the color of these, and I LOVE how affordable they are to make. Who knew how easy this was? Not me! Headbands + silk flowers = so much cuteness. I'm not so crafty, even though I try to be but I can totally see where having something to focus on can help with depression. With my daughter loving headbands, I'll stop by the Dollar Store and pick up the items and try to make one. I'd say a 2 minute craft might be something I can accomplish. I might even have to make more than one! What a cute idea for little ladies. I am sure my nieces would love this. This is so cute. I used to make headbands and barettes for my daughter when she was younger. What a beautiful headband! I can't believe how simple it is making it. With this idea lovely headbands could be made either to wear by kids or by the adult. I love how you both have purple in your hair so cute!!! I love getting items from the dollar tree to make crafts with. The more affordable the better. I am excited about spring! I love the headband and thought you were so clever to use dollar store blossoms. So pretty and creative! Every time I read your blog I'm just so impressed by your daughter's hair. It's stunning and reeaally emphasizes how cool these headbands are! Those are some cute headbands. I can remember making them and wearing them when I was a kid. Good to know that kids still wear them today. What a frugal make to make such pretty headbands. I bet you could even sell those. They would be great for school pictures. These are way too cute! Floral headbands are so stylish and these double as a great little craft project. This is a wonderful idea! I would love to make this with my daughter. She would have fun with it. These are really adorable. I like how much can be done from things found in the dollar stores. It's a lot cheaper to use those materials than it is to buy one already made. Plus, we can put our own touch on it. These are beautiful! I love frugal ideas like this and it's perfect for spring coming up! That headband is cute!! I like that your daughter loves to wear them! So adorable! 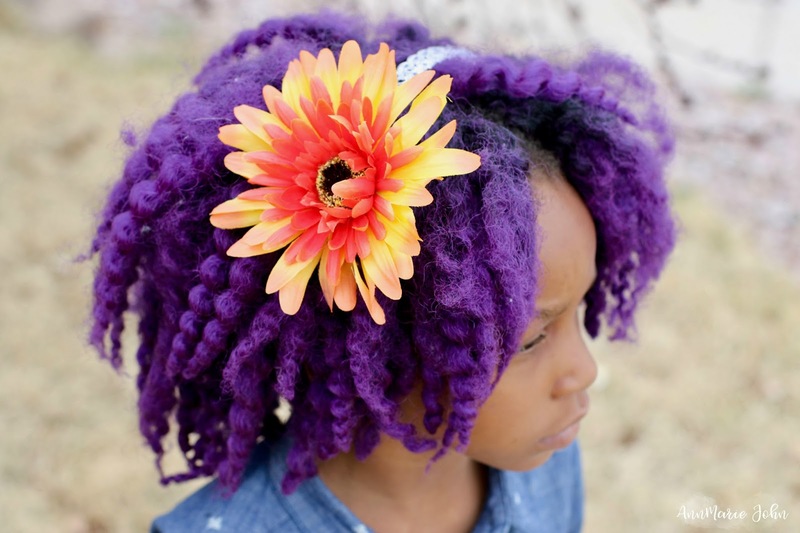 My granddaughter would be all over these flower headbands! She loves colorful headbands and bead bracelets. She's starting to show her fashion sense at a young age of 5. I will try making some headbands for her too. These certainly add a sparkle to your daughter. I think they look like a fun project to do with my niece. This is stinking brilliant! I'm not always the best when it comes to crafts for my girl but hair stuff is the one thing I make myself learn. These are perfect for spring and summer, and course for all those festivals. Creating custom pieces is so much better the pre-made, they are much more unique. So cute and just in time for Easer. I am due with a little girl in two weeks so I will have to remember this, so much cheaper than the ones on ETSY. So pretty and easy! I might do this for my stepdaughter's bible study craft. What a cute and simple craft! I love things that you can make like these headbands. They are usually more unique than store bought hair accessories. Easy is good, and these turned out cute. My grandbaby loves to wear flowers in her hair, so I know she'd like a headband with one on it! That's what I like about it. It's easy and fun to do. Plus points because it looks absolutely lovely! I volunteer with abused women and children.. this is such a cute idea!! I'm going to start doing this and getting the kids involved! These headbands look so gorgeous! I like them a lot, so I thank you for sharing the information on obtaining one of these. Using supplies from the Dollar Store, these DIY flower headbands are easy to make and cheap as well! Those are cute! My daughter would love these. I like that they don't cost a lot too. They're perfect for play. This is such a cute idea for a DIY activity. It's especially perfect with Springtime being here. Omg so cute!!!! Perfect headband for spring! Heck even for Easter Day. They would look cute with an easter dress! That was seriously EASY to do (okay I didn't make it, but just reading the steps). I also think that it's great you found an outlet, something for you to do to help you with depression. I also suffer from depression (started as PPD), then just seemed to get worse over the years of losing both of my parents as well. So, I understand your pain! hugs my friend!